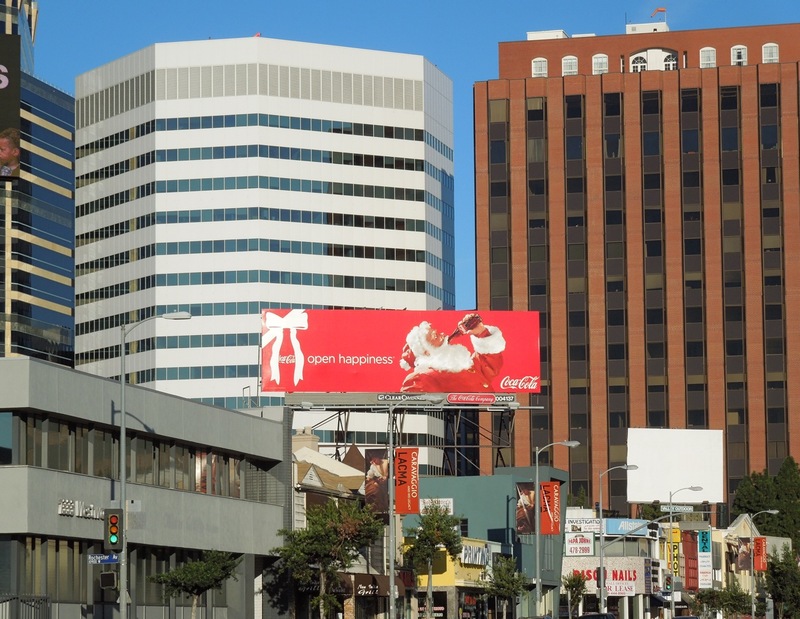 There's nothing quite as festive as a Coca-Cola Santa Claus filling the skies of L.A. at this time of year. 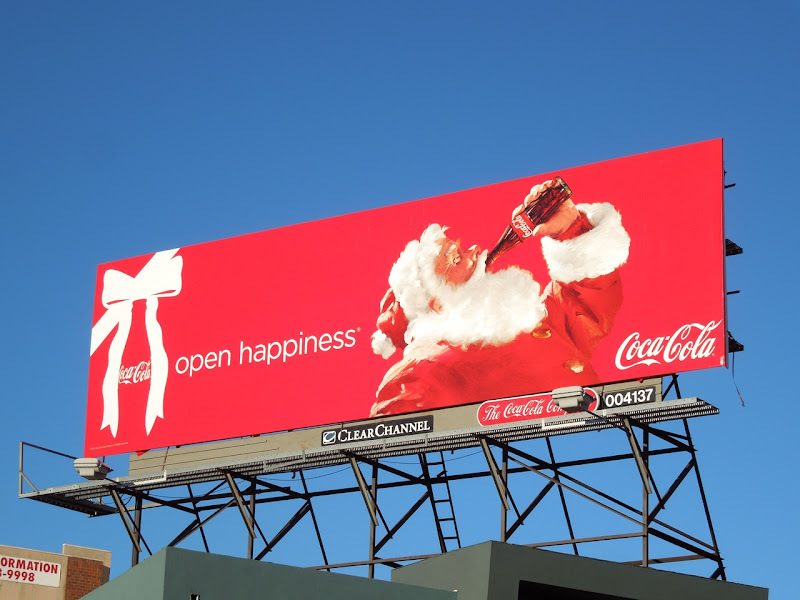 Last year Coke eschewed using their signature Father Christmas in favour of a more environmentally friendly Arctic Home ad campaign featuring polar bears. 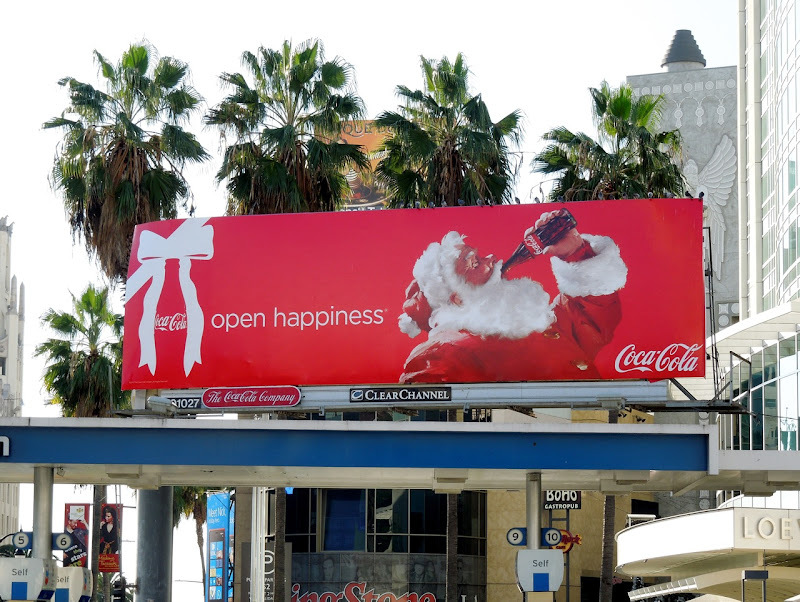 This year the world famous soft drink brand has reverted to its iconic jolly Santa enjoying a bit of happiness this festive season. 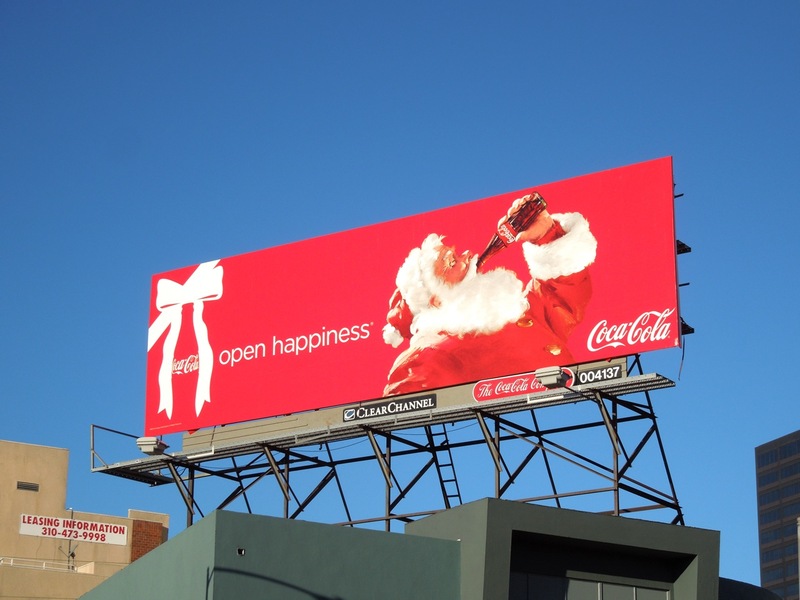 These illustrated Santa bilboards were snapped along Westwood Boulevard and also along Highland Avenue on December 20, 2012. If you like this striking red creative, be sure to also check out Coke's Santa billboards from 2008 and 2009 and also their Open Happiness Christmas 2010 ad. 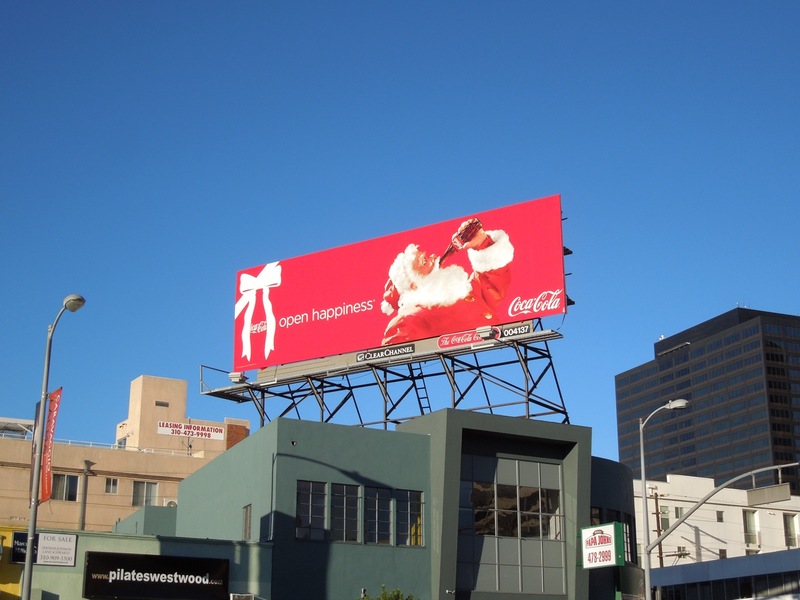 Daily Billboard wishes you all a wonderful day filled with happiness.